Here’s the first of our Can’t Stop The Serenity charity auctions! This item is offered for auction as part of New Melbourne Browncoats’ activities as part of our fundraising efforts for Can’t Stop The Serenity, with all profits from our online auctions going to our total donation to Equality Now. To see the other awesome collectibles up for grabs, check out our other auctions on eBay! 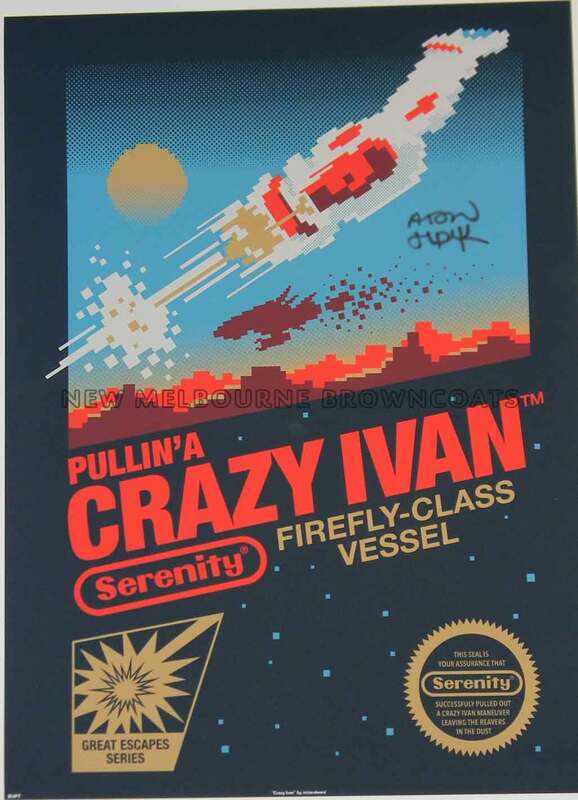 You won’t want to miss out on this fabulous Crazy Ivan print, signed by Alan Tudyk. Measuring 18 x 24 inches, this print by artist victorsbeard is giclee-quality with a high image resolution and a smooth matte finish on 192gsm paper. CLICK HERE TO BID! The auction will end on 23 September 2013.